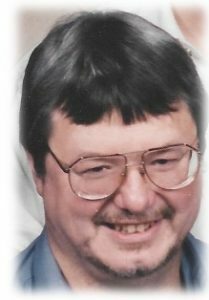 William R. “Bill” Mutter, age 66, of Grafton, WI passed away Saturday, September 23, 2017 at Heritage Health and Rehabilitation Center in Port Washington. Bill was born in Milwaukee, WI on January 8, 1951 to William and Irma Wickert Mutter; one of five sons. He grew up in Oconomowoc, graduating from Oconomowoc High School in 1969. He attended the University of Wisconsin-Whitewater, later moving to Sturgeon Bay shortly after getting married. He worked in a factory for a time, moving to Milwaukee to take a job with Woolworths. While there, Bill went back to school, receiving a degree in computer science and programming. He changed jobs a few times, working for John Deere in Iowa and MCI Telecommunications Worldwide in Texas. He returned to Wisconsin living in West Bend and Hartford until moving to Anita’s Gardens in Grafton in 2014. At the age of 4, Bill was afflicted with polio. Over the years, he did not let polio get the best of him. When he was young, Bill broke many braces keeping up with his brothers. His strong will and independence continued throughout his life. Bill always had a special place in his heart for his dogs. He operated a simple kennel which also served as a rescue shelter. Malamutes and huskies were his favorites. His buddy Lodi was by his side for many years. He was an active member of the group that created Leader Dogs for the Blind through Lions Clubs International in Chicago. He was into computers long before the Internet. He still enjoyed reading books and watching movies. Bill is survived by his sons Brady (Megan) Mutter of Green Bay and James (Katharine) Mutter of Appleton; his brothers Dennis (Linda) Mutter and Roger (Doralea) Mutter, both of Oconomowoc and Paul (Lenora) Mutter of Hendersonville, NC; nieces, nephews, other relatives and friends. He is preceded in death by his parents, his brother Dean Mutter and his canine pals Lodi and Oscar amongst many others. Interment will take place at Glenview Memorial Gardens in Ixonia, WI. No formal services will be held.